SOUTH BEND, Ind. - Sam Mustipher gets to run out of the home tunnel one final time for No. 3 Notre Dame on Saturday night against Florida State. 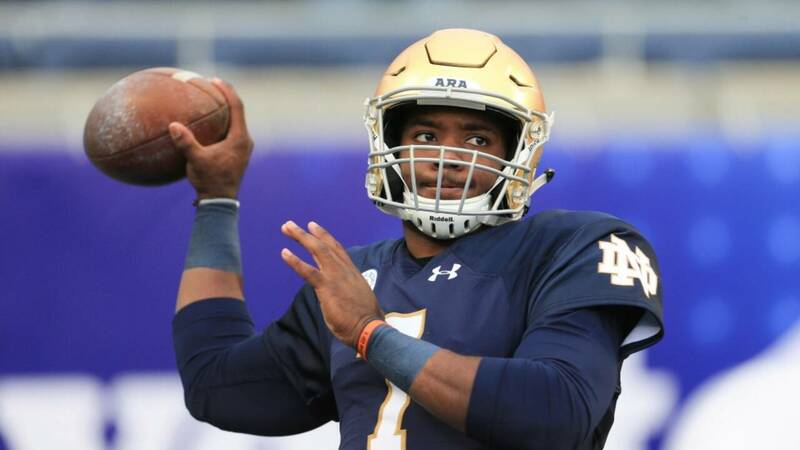 The Irish believe they can continue their quest for their first national championship in 30 years with Wimbush running things - and he is likely to run if he can. Mustipher reminisced this week about Wimbush's breakout performance - 207 rushing yards and four touchdowns in a 49-20 victory last season at Boston College. "I'm still the No. 1 guy - coach Taggart continues to make that clear," Francois said. "James understands that, but James is always ready to go if anything happens to me." "I've played in some pretty cold games," said middle linebacker Dontavious Jackson, who played high school ball near Houston. "Never played in the snow - I'm looking forward to it. People think we're not because we're Southern boys, but I'm actually looking forward to it.